On the day of 9/11 11years ago i was 19 and working in a small care home in the little town were I'm from. I was having a lunch break and wondered down the local pub for a swift half. We were sat around with the news on in the background and all i can remember was everyone being engrossed in the TV and the first plane hit the trade centre. I must admit i was not comply sure what the trade centre was. I can remember we sat talking and saying what a accident it was as the plane was sticking out the side. Then as we were all looking on in disbelieve the second plane hit and the reality of this is some sort of attack was sickening. 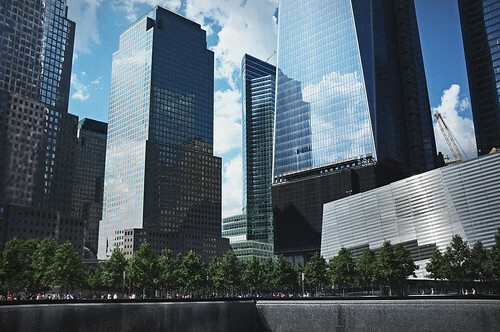 When i was in NYC earlier in the year we went to the memorial site to pay our respects. It was a very moving time being there.